Keyboards players do not only find various versions of keyboard stands and keyboard racks in our offers, but also customized keyboard stands and keyboard racks, which are manufactured by us on customers requests. This may relate to a special inner width of a keyboard stand or keyboard racks, the number of keyboard tiers, the length of the instrument holders and other. 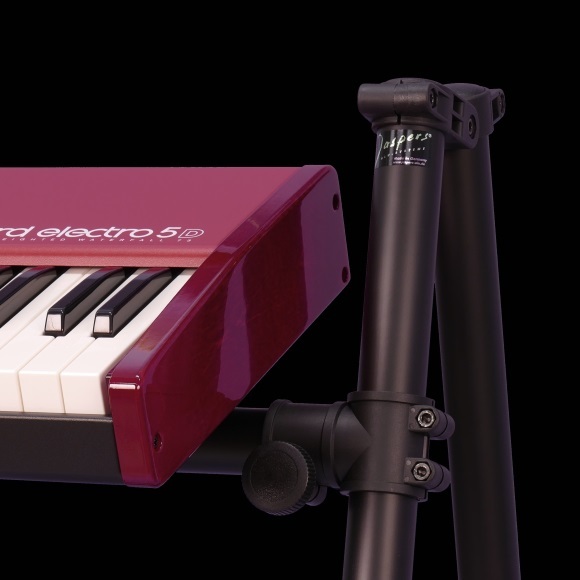 In this way we offer keyboard players a wide range of stands and racks, as well as a wide range of suitable accessories such as Laptop Stands, Music Stands, LCD/TFT Adapters and much more.